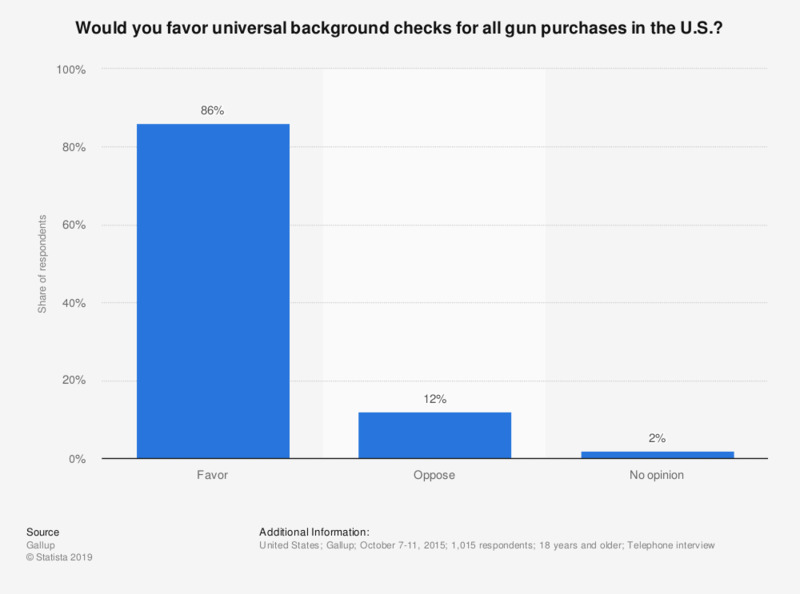 This statistic shows the opinion of Americans in October 2015 on whether or not they would favor a law which would require universal background checks for all gun purchases in the U.S. using a centralized database across all 50 states. In October 2015, 86 percent of the respondents stated that they would favor such a law. The original question was posed as follows: "Would you favor or oppose a law which would require universal background checks for all gun purchases in the U.S. using a centralized database across all 50 states?"